Guest blogger Junaid Khan of ChicagoQuest school presents the PlayStation game LittleBigPlanet 2 as a rich source of creative and collaborative learning opportunities, and gives us four tips to maximize learning and assessment. 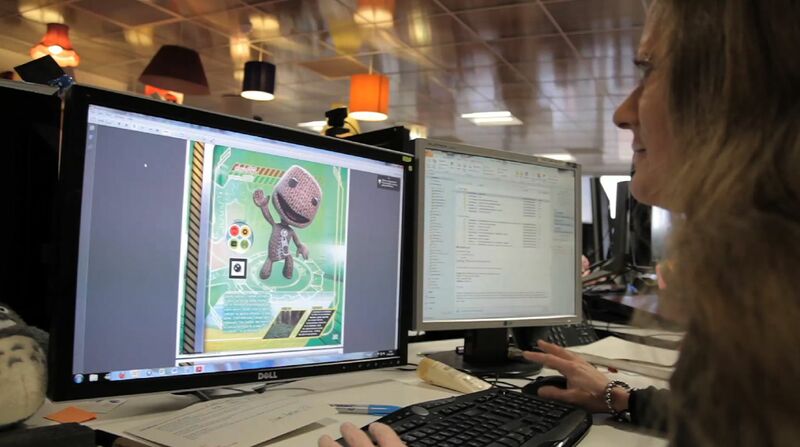 The creative potential of LittleBigPlanet 2 (LBP2) is evident as soon as the PlayStation console is turned on. The game opens with a colorful video that exposes first-time users to an amazing storyline, a host of characters and -- most importantly for teachers -- an endless variety of spaces in which creativity and collaboration are the theme and focus of the gameplay. Though LBP2 was not designed for classrooms, the potential to use it as a creation space is undeniable. The game offers rich opportunities to explore social emotional learning (SEL) concepts, design thinking competencies, and of course digital literacy skills. I used LBP2 in a media arts class that I teach at ChicagoQuest, along with another teacher and collaborator Malcolm Williams. ChicagoQuest, the sister school to the New York City public school Quest to Learn, is a charter school for grades six through nine that serves a largely underprivileged population in Chicago's Near North Side. My class, which is called Sports for the Mind (SFTM), is a learning space built into Quest schools in which students engage with project-based learning assignments that are focused on design thinking and systems thinking. Students are exposed to a variety of different digital media tools and use their skills to express themselves within the parameters of a given project. Using LBP2 in our SFTM curriculum was a no-brainer. The culminating learning experience and performance assessment for my sixth grade class is a digital storytelling project. After analyzing stories and their various structures, brainstorming story ideas and storyboarding a narrative, students were tasked with bringing a classic fable, fairy tale or myth to life within the world of LBP2. A frame from the video game LittleBigPlanet2. Of course, as teachers, we know that things seldom go according to plan. I ran into a few challenges during the rollout of this project, which are common to schools exploring new digital tools. Here are my lessons learned, with a few tips on how you can address similar challenges using new digital tools and maximize the learning and assessment opportunities. But early on in the project, I allowed three class periods for unrestricted tinkering or free play, and then another three class periods for students to play through levels in the game's "Story Mode." This allowed students to take a self-directed approach to exploring the game controls and experimenting with character customization. I asked students to provide feedback on their experience as they moved through "Story Mode" -- sharing tips on how to play through levels, locate secret prize bubbles, or even carry out more advanced moves. Students also highlighted their favorite level or their favorite thing to do in the game. As the tinkering and experimentation progressed, the interaction in my classroom exponentially increased, making the learning a class-wide collaborative experience. The challenges students are likely to encounter in digital gameplay are built-in opportunities to assess 21st century skills in action. With six teams of four kids playing at six different flat-screen TVs in close proximity to one another, there are bound to be logistical and group management issues. We also encountered a consistent problem in securely saving the progress of our student work on the server -- and despite various troubleshooting attempts, I never managed to find a practical fix. Though I had an initial goal of assessing the quality of the digital stories we were creating, these unpredicted logistical hurdles lent themselves to new opportunities -- the performance task very quickly became an opportunity to assess SEL competencies like collaboration and time management. Students that were advanced in their gameplay became assistants and teachers to other students, and all students were being assessed on their ability to work through this digital world in collaboration with their partners. They worked on concepts like compromise and mutual benefit when it came to creative decisions -- ultimately there was a very real-world feel to what was happening in this fictional digital world. Like many games, LBP2 was designed for players to become immersed in the world of the game, and to spend a lot of time there. But my class meets three days a week for a total of roughly 200 minutes. It proved difficult for students to pick up where they left off. I addressed this by centering each class period around a very specific short-term goal that required each group member to take on a role as well as provide feedback to each other. SEL and collaboration again became paramount. For example, we set a class goal for the day in which each team member had to be the leader for collecting prize bubbles in at least one level, which meant teams had to work together to get through enough levels and support different leaders. In role-based SEL/collaboration activity, each team member rotated into a role interacting with video tutorials for each level -- actively seeking information in real time to help their team successfully get past parts of the game that were difficult. Another example of a short-term goal was the character customization. Students had only one class period to create their character in the game, so they had to paper-prototype an original design for their character in advance, in order to create their character quickly on the PlayStation. 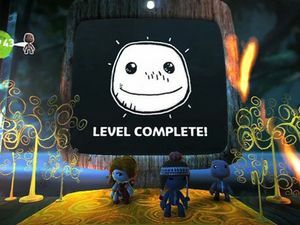 The greatest thing about using LBP2 as a learning tool is that it offers such a diverse range of experiences -- so many different things to do and so many different ways of doing them. It allows for students to explore, discover and get lost in the game in normal and healthy ways. For the most part, kids benefitted from being free in this space. But I also had to ensure that students didn't get too distracted in their explorations and keep them focused on the task at hand. I framed the gameplay with the design thinking process to focus students on their goal and deliverable. We started out with an intentional tinkering experience during an exploration phase that allowed students to learn their way around the tool (while also satisfying their natural curiosity). Then we transitioned into character customization, an ideation phase, where students were dressing up their "sack boy" in the game as various characters from the stories they had selected. By the time we got into the prototyping phase, when students entered "creation mode" in the game and began crafting their stories, the tone in the classroom changed. Each group began to function as one unit working toward one goal, with students taking charge of the project and setting the priorities, tasks, roles and responsibilities. All new technologies come with challenges around implementation. Though LBP2 was not explicitly built for the classroom, with a little creativity and a keen eye for learning opportunities that surface intrinsically, a commercial game can demonstrate a lot of power in the classroom.